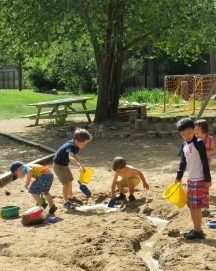 Jarrow Montessori School’s Elementary Program nurtures in students a lifelong love of learning. The program promotes motivated, self-directed and engaged learners through carefully structured classroom environments prepared by knowledgeable and dedicated teachers. Elementary teachers skillfully observe their students and closely guide them in the learning process. 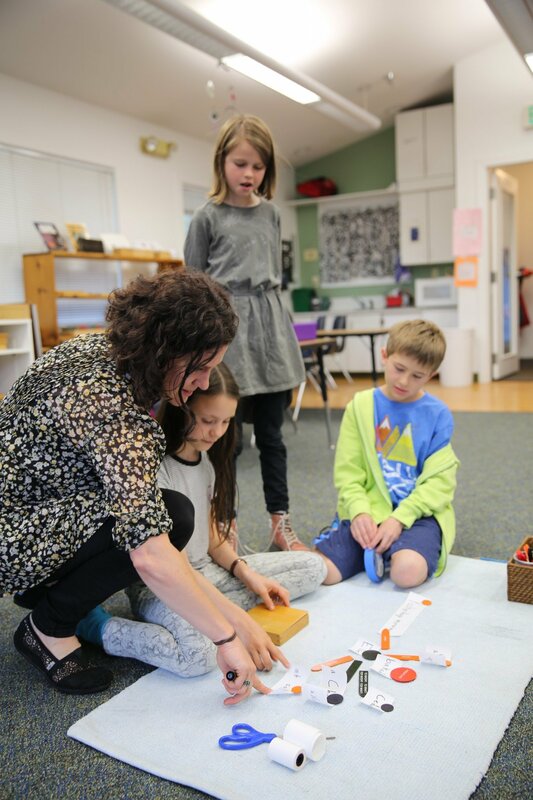 Student-centered learning is a hallmark of Jarrow Montessori School; we define our success by our students’ learning success. The academic day is designed to sustain uninterrupted, focused learning opportunities for students. Our teachers are well educated in child development. This knowledge is at the heart of an inclusive classroom experience that is responsive to a diversity of learners. As a result, Jarrow students are curious, self-confident and critical thinkers who are socially aware and active in their school and the broader community. 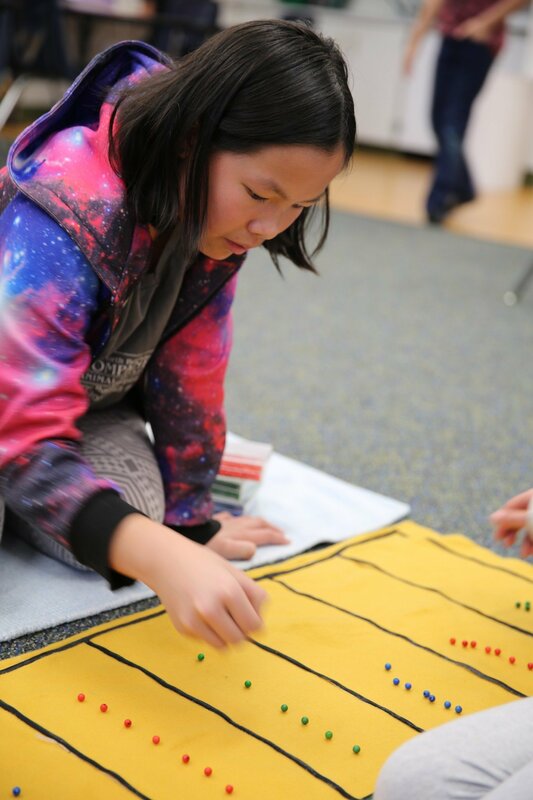 The Elementary academic program purposefully integrates content areas to make information more meaningful and connected for students. Our curriculum is rigorous and provides an excellent academic foundation in language arts, literacy, mathematics, science, world geography, the global community, history, the arts, foreign language and physical education. 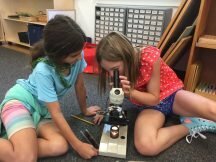 “Education for life” continues as students develop learning skills by exploring practical problems and processes. 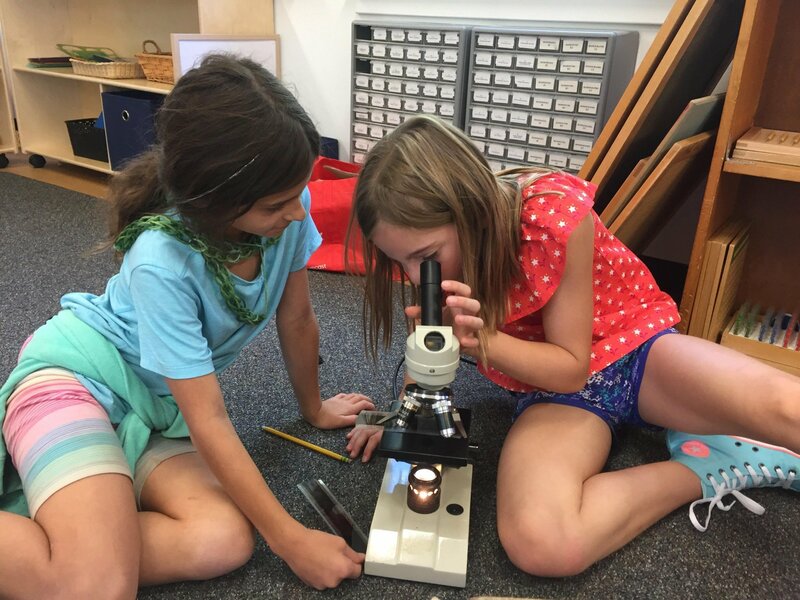 The classroom is designed to develop habits of inquiry, work, and wonder and to foster a life-long love of learning. The teacher, in the role of facilitator, bases the curriculum on a deep respect for the child’s ability to grasp great wisdom while understanding the individual developmental needs of each child. Mathematics, physical and life sciences, literacy, and cultural studies (described below) as well as fine arts, music, and P.E. are the backbone of our program which immerses students in hands-on learning activities. The Senior Elementary finishes the year with a major field trip relevant to their long-term study project. Recent classes have traveled to Washington D.C., the civil war battlegrounds in Virginia, Cortez, NM, and Boston, MA. Download the SR EL Curriculum Guide.